What is a Wand Glide? 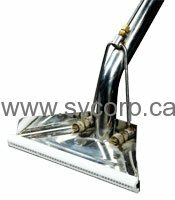 A carpet wand glide is commonly made out of a machined bar of Teflon or Delrin. 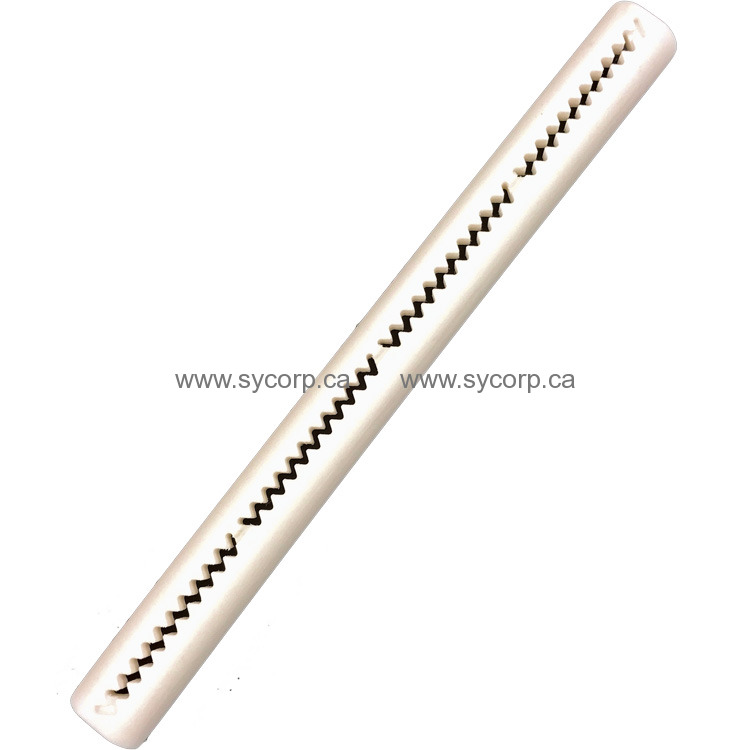 This machined bar snaps onto the cleaning head of your carpet wand and has either a holed, or slotted pattern that allows for the recovery of water when cleaning. Why use a Wand Glide? Reduce friction. Glides make it so your wand moves effortlessly across carpeted surfaces. The best part of this is that you still get great suction, but with half the work! Improve lift and air velocity. Putting a glide on your wand decreases the opening of your vacuum inlet. This has the effect of dramatically increasing air velocity and lift. It's no different than attaching a long skinny tube to your vacuum cleaner at home. Have you noticed that you can't pick up crumbs when using the wide 1" opening of your home vacuum extension? Attach the skinnier attachment with the smaller opening, and even though it's longer, you can pick up heavier stuff. Eliminate wand chatter. This is especially important when cleaning commercial glue down. Wand glides allow you to easily push your wand on these surfaces without chatter, thus eliminating streaking. Reduce damage. A glide protects both your stainless steel wand head, as well as your customer's baseboards and property. Work faster. Since a wand glide makes pushing a wand so much easier, you'll feel 18 yrs. old at the end of the day instead of 81 yrs. old.